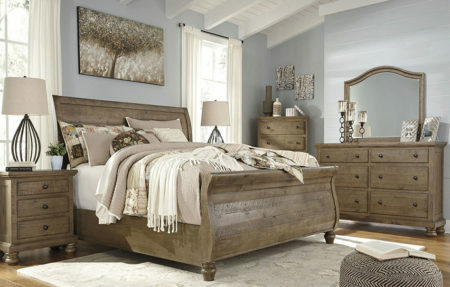 All solid Pine wood construction, finished in a weathered gray color with varying natural distressing. The rectangle dining table has robust leg posts with attractive turnings and an 18 leaf to comfortably seat eight. The X-back chair features all solid wood construction and a scooped seat. The 64 bench features a framed top with decorative leg turnings. The server offers a framed top and sides, framed beveled panel doors, inset drawers and set on round turned bun feet. The hardware features round metal knobs in an antique bronze colour.